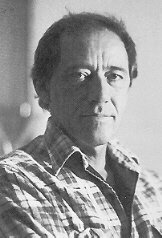 Richard Bachman was born in New York in the early 1940's and after high school he joined the Coast Guard for 4 years and merchant marine for 10 years. After that he settled down in rural central New Hampshire, where he ran a medium-sized dairy farm. Bachman did his writing at night after the cows had come home. He suffered from chronic insomnia. Bachman and his wife, Claudia Inez Bachman, had one child, a boy, who died in an unfortunate accident at the age of six. He apparently fell through a well and drowned. 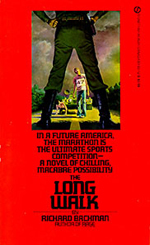 Bachman's first book Rage came in 1977 and was followed by The Long Walk 1979, Roadwork 1981, The Running Man 1982 and Thinner 1984. 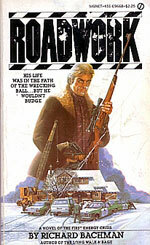 With Thinner Bachman took the step from paperbacks to hardbacks. In 1982, a brain tumour was discovered near the base of Bachman's brain, tricky surgery removed it. At least the doctor's thought so but in 1985 Bachman suddenly died of "cancer of the pseudonym". In 1987 the movie based on his book The Running Man starring Arnold Schwarzenegger was released. The movie was a disappointment and there was almost only the title left, compared to the book. 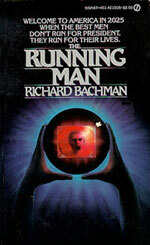 1989 Bachman was mentioned in Stephen King's book The Dark Half, where he was mentioned as King's inspiration for writing the book. In 1994, 9 years after his death, while preparing to move to a new house his widow discovered a cardboard carton filled with manuscripts in the cellar. The carton contained a number of novels and stories in varying degrees of completion. 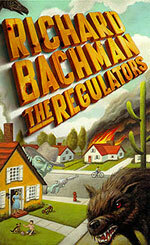 The most finished was a typescript of a novel entitled The Regulators. Claudia took the manuscript to Bachman's former editor, Charles Verrill, who found it compared well with Bachman's earlier works. 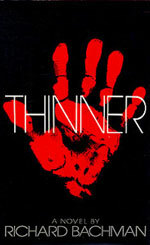 After only a few minor changes and with the approval of Bachman's widow (now Claudia Eschelman) The Regulators was published in September 1996 and in October the same year Bachman's book Thinner was made into a movie by Paramount Pictures. 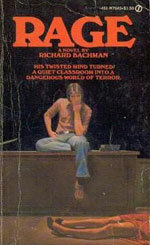 A limited edition of The Regulators was also published by Dutton and in every copy was a check Bachman had signed before he died. 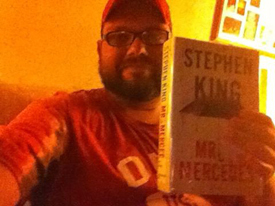 In 2006 American author Stephen King found Bachman's manuscript to a book called Blaze. King read it and decided that after polishing it a bit it would be fit for publication. So, in June 2007 the book was released and it then also had a foreword by King.